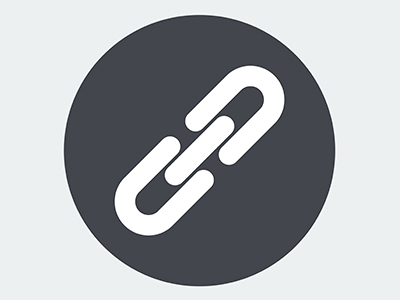 The Nassau Hub has been a persistent source of controversy and dysfunction that has denied the region the enormous economic opportunity that can accrue from its proper development. Recent economic news has offered some pleasant surprises. Most notably, existing home sales rose to their highest level in a year. 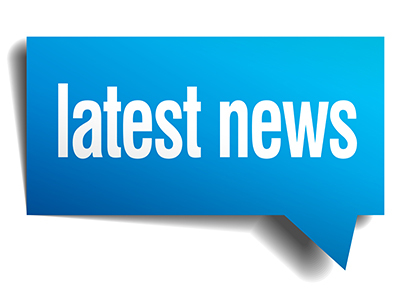 To keep you informed on the latest news regarding the LIA, we are providing you with clips of the most recent media coverage the LIA has received. 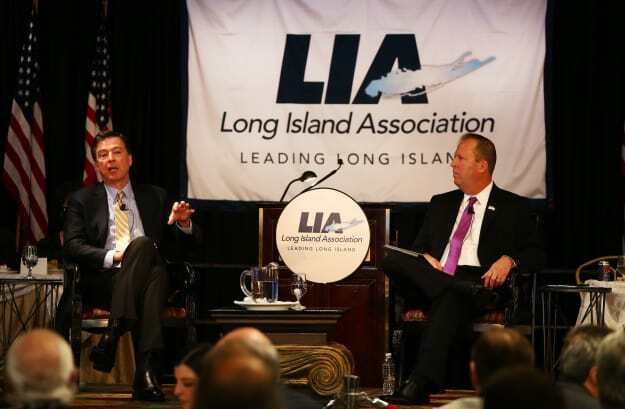 The Long Island Association’s Priorities and Initiatives for 2019 include the critical issues, policies and projects we will advocate for on behalf of the Long Island business community this year. 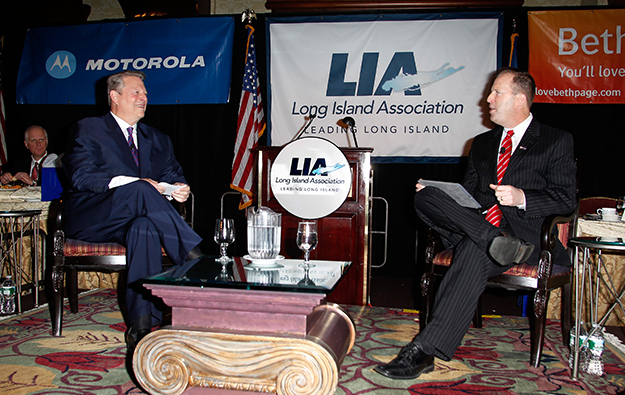 We are committed to achieving these objectives in order to create jobs, spur private investment, promote economic development, create affordable housing, reduce the federal, state and local tax burden and improve the overall business climate in our region. 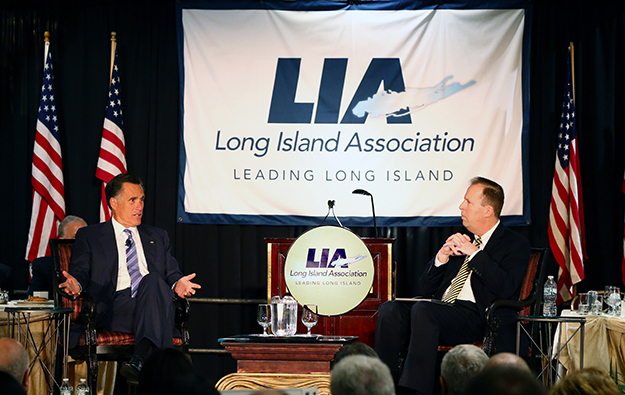 The LIA will continue to collaborate with other organizations on Long Island and throughout the state to build support for these initiatives. 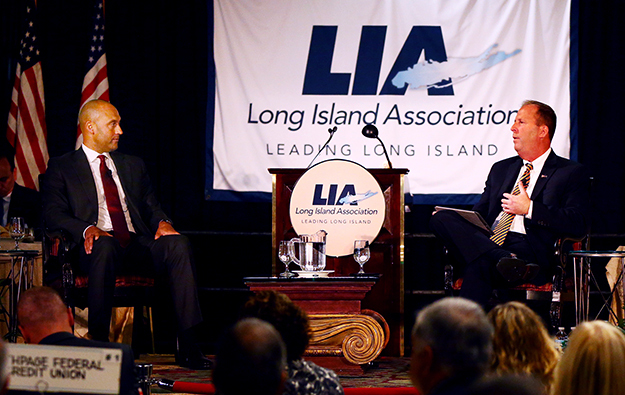 On Wednesday, April 3rd, the Long Island Association held its annual Spring Luncheon featuring sports legends Mariano Rivera and Jack Nicklaus. 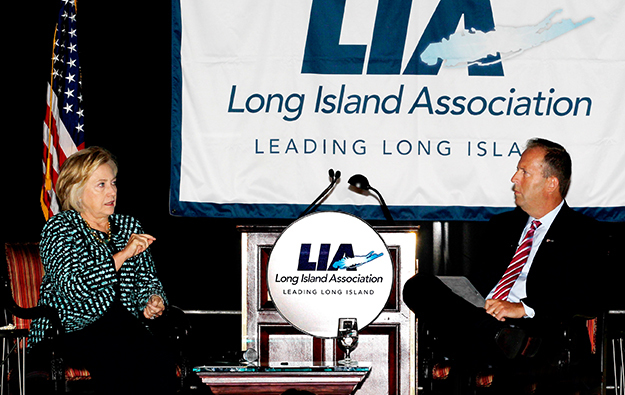 More than 1,100 business leaders filled Crest Hollow Country Club in Woodbury as LIA President & CEO Kevin Law interviewed the pair for more than hour. Mariano and Jack offered the audience a unique opportunity to hear about their lives, from childhood to the pros.